Pyeongchang (South Korea) (AFP) - USA skiing ace Mikaela Shiffrin insisted she "wouldn't change that for the world" despite flopping in her best event at the Olympics -- and said it wasn't just the medallists who enjoyed the Games. Shiffrin, 22, was the favourite to retain her title in the wind-delayed slalom on Friday, but ended up fourth after vomiting with nerves at the start. The upset punctured the hype over Shiffrin's quest for at least four Olympic golds, which rose after she won the giant slalom on Thursday. But Shiffrin wrote on social media: "You know what? I wouldn't change that (race) for the world. "For me the Olympics is about showing heart and passion as much as it is about medals," added Shiffrin. "I wouldn't take back my emotions or excitement after the GS (giant slalom) in order to have better shot at a SL (slalom) medal too." 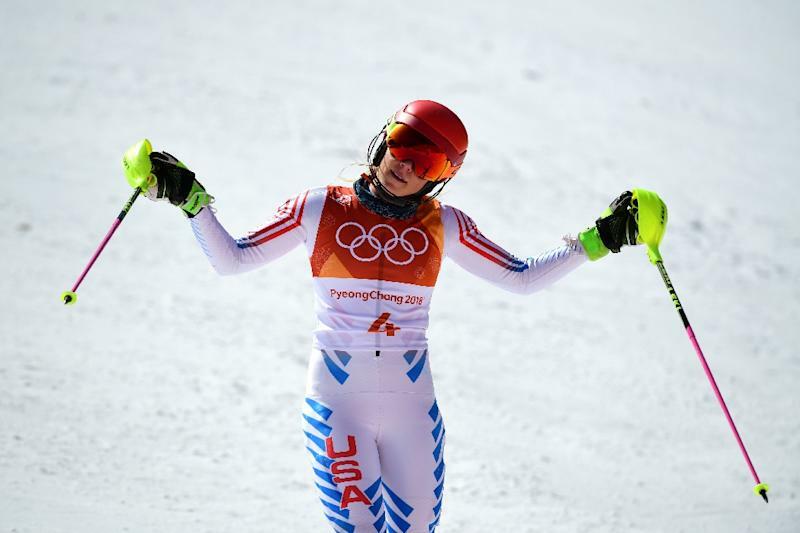 Appalling weather at the start of the Games disrupted the programme, meaning Shiffrin was scheduled for three gold medal races in three days. After pulling out of Saturday's super-G, her next race is the downhill on Wednesday -- but she said the Olympics were about much more than winning gold, silver or bronze. "It's not necessarily the medallists who get the most out of the Olympics. It's those who are willing to strip down to nothing and bare their soul for their love of the game," she wrote. "That is so much greater than Gold, Silver, or Bronze." "We all want a medal, but not everyone will get one. Some are going to leave here feeling like heroes, some will leave heartbroken, and some will have had moments when the felt both -- because we care. "That is real. That is life. It's amazing and terrifying and wonderful and brutal and exciting and nerve racking and beautiful. And honestly, I'm just so grateful to be part of that."